People carry signs addressing the issue of sexual harassment at a #MeToo rally outside of Trump International Hotel on December 9, 2017. 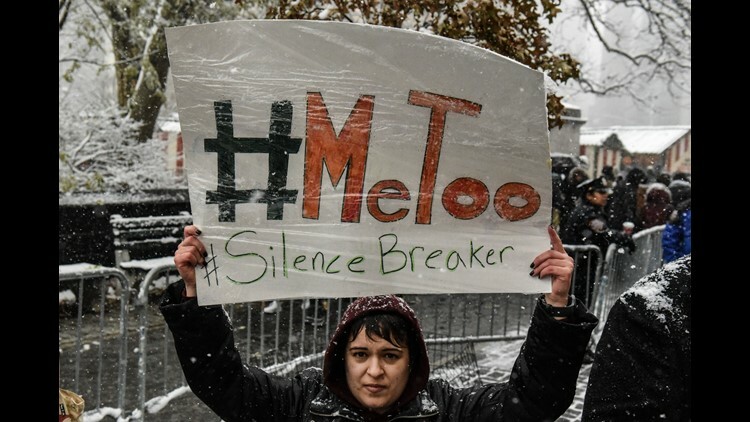 October marks one year since the social media phenomenon #MeToo exploded, dislodging scores of men from their high-power positions and sparking a national conversation about workplace sexual harassment. Originally started as a grassroots effort by activist Tarana Burke more than 10 years ago, and set ablaze after a tweet by actress Alyssa Milano, those two simple words have become a viral rallying cry for millions of women, and some men, who are fed up with the blatant abuse of power. So, just how popular has the hashtag become? A recent study by the Pew Research Center found that the #MeToo hashtag was used more than 19 million times on Twitter since Milano's initial tweet. That's more than 55,000 uses of the hashtag per day. The vast number of prominent celebrities and other survivors coming forward to share their heartbreaking stories has given the hashtag traction. According to the study's findings, use of the phrase often peaked on Twitter after high profile events such as the Golden Globe Awards and when Brett Kavanaugh and Christine Blasey Ford testified before a Senate committee. It also reached a high point after Time magazine named #MeToo activists as persons of the year and the day after International Women's Day. The day with the single greatest number of mentions was Sept. 9, when the chairman of CBS, Leslie Moonves, resigned amid allegations of sexual misconduct. "(The hashtag) is popular because it's real life," said Jacklin Vollmer, a 28-year-old waitress from Batavia, New York. "It's popular because it's the truth. Women can relate to it and, let's be real; this is the time of the woman." Vollmer is a workplace sexual assault survivor who said she was fired for reporting her attacker in January 2018. She used social media to share her story. "Maybe someone reading it will reach out and get help for themselves. Or maybe someone reads it and thinks 'Wow, I've done that. Maybe I should stop,' " Vollmer said. In addition to analyzing the frequency with which #MeToo is used on Twitter, the Pew Research Center interviewed over 4,000 social media users to find out how often they saw sexual harassment-related content online. It turns out that roughly two-thirds (65 percent) of U.S. adults who use social media said they regularly see posts that relate to the topic. Twenty-nine percent of that group said a great deal of what they see on the social networking sites is focused on the issue, Pew found. 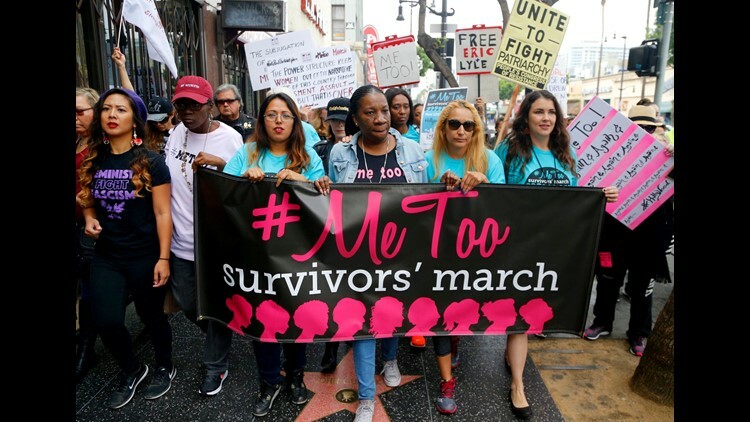 "The hashtag has had an extraordinary impact because it shows the ability of women and survivors of sexual harassment and violence," said Kathy Spillar, executive director of Feminist Majority, a women's advocacy and policy research organization. "It has taken an issue that was whispered about in workplaces and given it a forum. It has made it possible for people to speak out. "The question now is, will policy decision-makers who are overwhelmingly men, do something about it," Spillar said. While the hashtag has enabled many women to speak up and be believed, advocates said that an increase in financial investment is the next step in sexual assault reform. "An important aspect of this is ensuring that resources are available to survivors –especially in rural, working class and immigrant communities and communities of color," said Ana Oliveira, president and CEO of The New York Women's Foundation. "That is just one of the powerful ways we can make sure the movement creates the necessary change to end gender-based violence."